My wife's grandma turned 100 last week. We went to Wymore, NE to celebrate. We had a ton of fun. Grandma used to play a lot of golf. 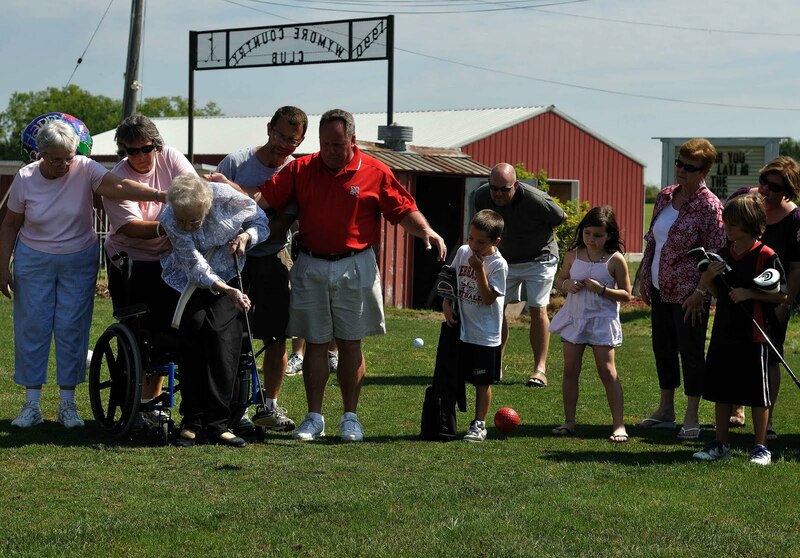 It had always been her goal to hit a golf ball on her 100th birthday. So her she is - hitting a ball off the tee box. Check out the form - head down through the shot. Ball in the air. The crowd that had gathered at the Wymore Country Club went crazy.